On this episode of SHOP Talk, Riley goes into depth on some of the more common concealed carry holster mistakes that he sees. Chief among these mistakes, is that the hand doesn't get a full shooter's grip on the gun during the drawstroke. Whenever this happens, if your goal is to successfully put rounds on target or an attacker, you'd have to re-adjust your grip if at all possible to get a proper hold on your gun. This is bad for what I hope to be at least one obvious reason, which is time. When you're in the fight for you life one thing you don't have much of is time. If you have to take up some of that precious time to correct yourself, even if just a few tenths of a second, in the fight for your life that's too long–especially if you could have gotten a better shooter's grip from the draw. If you don't re-adjust your grip and shoot poorly (which may be your only option depending on your situation), you can have any number of issues plaguing your accuracy. Or, you could inadvertently cause a malfunction as you're shooting. A poor grip could cause a stovepipe malfunction, giving you a whole other can of worms to fix before you can continue shooting. The concealed carry (or open carry if that's your thing) holster of choice must allow you to get a proper shooter's grip from the draw to mitigate this and is often times one of the biggest culprits preventing it. More than that, however is that we all need to be practicing. In this episode, Riley also shows you how he draws his gun using specific indexing points and practice to get the gun out properly each time, what he looks for in a holster, and a few other pitfalls and mistakes he sees on a regular basis. Then, at the end of the video, he gives a coupon code to take 15% off your choice of holster that we sell in our online store. Since the SHOP Talk was filmed on tax day, the code to save 15 percent is: TaxDay15. 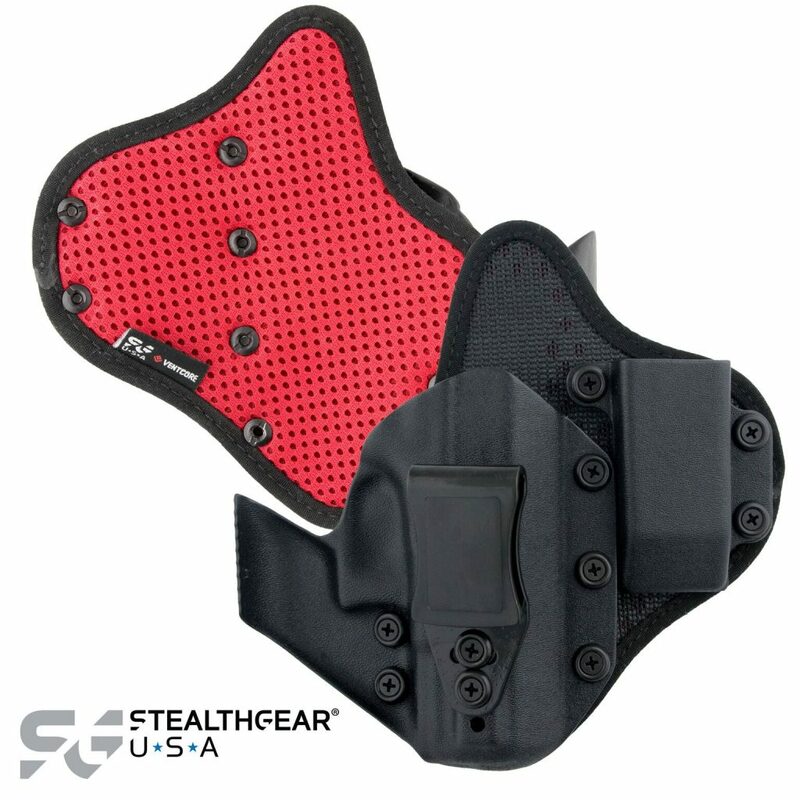 We have a great selection of holsters from the Brave Response to Stealthgear and many others in between. This 15% off coupon is a great way to try out a new holster, so make sure you do today. The coupon expires on April 21st, 2019 at 2359 MST. You can find all our holsters by visiting this page.